4th graders will have Spanish class once a week, in a 25 minute session. We will be using a workbook which is on order. We will concentrate on the Spanish alphabet, basic greetings and responses, numbers, days of the week, months of the year, as well as useful basic vocabulary in simple sentences. Students will need a marbled copybook, a 2-pocket folder, pencil, eraser, and pen. Test or Quiz will be monthly. Class participation will be taken into consideration in the trimester grade. When learning a foreign language, it is extremely important to go over/review/practice speaking whatever was covered in class that day. Week of April 1 HW Write vocab words 3x in notes. (La Cena). Review El Desayuno and El Amuerzo. Make spelling corrections on Bingo sheet. Begin studying for Test on Tues. April 23. (Breakfast, lunch, dinner) BRING IN 30 blank index cards. HOLY WEEK Study flash cards for el desayuno, el amuerzo, la cena. Test Tues. 4/23 Feliz Pascuas! Your 5th grade student will have Spanish class once a week, for a 25 minute session. We will be using a workbook which is on order. We will concentrate on extended vocab, basic greetings and responses, numbers to 100,, as well as speaking simple sentences and students conversations. Please come prepared with a marbled copybook, a 2-pocket folder, pencil, eraser, and pen. Test/Quiz will be monthly. Class participation will be taken into consideration in the trimester grade. Week of March 25 HW finish writing vocab in WB, and 3x each in notes. BRING FLASHCARDS HOME to study for test THURS. APRIL 25 . 6th grade Spanish will be once a week, for a 50 minute class. We will be using a workbook which is on order. Students will need a marbled copybook, a folder w/2 pockets, pencil and pen. Class participation will be considered in the trimseter grade. It is extremely important when learning a foreign language to review/practice speaking everything which was covered in class that day. Week of April 1 Due to assembly, test will be during Computer class this week. HOLY WEEK Study WB pp 14-27, Test will be Tues. April 30th. FELIZ PASCUAS! April 22 Take home Workbook AND study sheet for quiz next week. 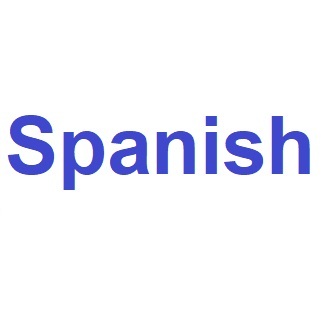 Your 7th grade student will have Spanish class once a week fora 50 minute session. For the first few weeks, we will be doing a general review from textbook Realidades (extending vocab, and present tense of -ar verbs) Latin American culture, and practice conversation. Class participation is considered in the trimester grade. Please make sure your student reviews/goes over/practices what was covered that day in class. Week of April 8 Study back page of vocab. Next test will be THURS MAY 2. HOMEWORK- front /back worksheet or -ar verbs. HOLY WEEK Finish crossword puzzle vocab Chapter 2A . Begin studying for test on Thurs. May 2. Feliz Pasquas! Your 8th grade student has Spanish class 1/week for 50 minutes. Please come prepared each day with a marbled copybook, pencil, eraser, pen and a 2-pocket folder. We will be doing a general review from their Realidades text. and continuing on with new vocab, present tense verbs, conversation, as well as some Latin American culture..
Class participation will be considered in the trimester grade. It is EXTREMLEY important for student to review/practice speaking whatever was covered in class. HOLY WEEK Complete crossword puzzle . Begin studying “ “ “ “ “ “ “ Test on May 2.